Justin Bieber (born 1 March 1994 in Stratford, Ontario, Canada), is a Canadian pop singer. Justin's music singles include One Time, One Less Lonely Girl, and Baby. He is a multiple American Music Award winning recording artist. 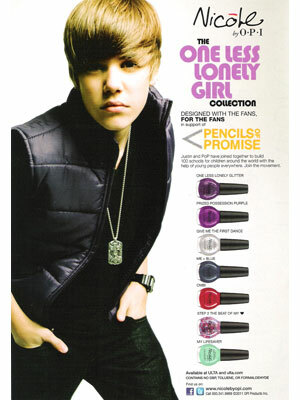 Justin Bieber designed the One Less Lonely Girl Collection of nail polish in 2010 with OPI, he is also a spokesmodel for Proactiv skin care products. 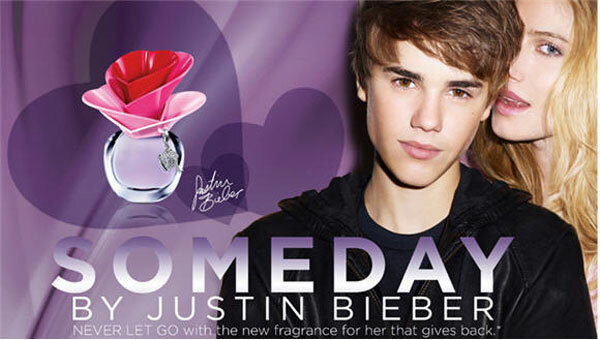 He launched his first fragrance, Someday, in July 2011 with Give Back Brands. He has been a model for Calvin Klein since 2015. Check out Justin Bieber's Magazine Covers.